It may seem that we are a little late to the party so-to-speak regarding a ticketing system for clients but we've had a client support site for awhile now. The site is https://clients.joesonne.com/ and it is located at Joe Sonne Marketing because our clients are actually Joe Sonne Marketing clients. 'JoeJoomla' is the Joomla CMS web brand of Joe Sonne Marketing. But there was a deficiency with the support site which became obvious when we onboarded a recent new client. The Joomla Content Management System (CMS) makes an excellent platform for a client membership site. You can use it's Access Control Lists to create a User Group for each client so they only see their own content when they login to the site. There are plenty of Joomla components that make setting up a membership site easier but we did it with core Joomla functionality. We want to use as few third party extensions or components as possible and simply utilize Joomla's capabilities. This way you cut down the cost incurred of additional subscriptions and maintaining and upgrading the site is made easier in the long run. So we had what we thought was a good user experience for the client whereby we gave them access to information, training videos and also a way to collaborate in discussions on any of the items. Joomla doesn’t have a built in commenting system so that was an extension that we did install. The commenting system is nice because when someone updates a topic or participates in a discussion the latest remarks are distributed to those involved and they simply have to click a link in their email to go to the new information. The way it had been working was that clients would send us an email with their question or concern and if it made sense to have a response with screen shots, graphics or video we’d create a Joomla article and then send them the link to it. They could login to the site at their convenience, view the content and make comments on that page. This works fine when you have a smaller number of clients. It isn't too hard to initiate the topics. It’s also a great way for them to have a reference library of items they can always go back to if needed. This system worked well for the longest time since we initiated all the topics and the clients simply went there for the content or training we provided. The problem is that the client can not initiate a topic. This is not entirely true because we could have given the clients the ability to upload an article, thereby effectively ‘creating’ a new topic but they would also have to manage the article by submitting it to the proper category for their specific client only content. There’s no way we want the client to have to deal with all this. Even if they were willing to do this they would need author rights to submit their article and the system would expose the other client categories to them. This defeats the isolating of clients from one another. We could have used a number of different approaches to solve this issue but since it necessitated customizing or adding an extension to the site why not just add a ready made and true ticketing system? So that’s what we did. You can go a couple of ways with a ticketing system. One choice is Software as a Service (SaaS) and another is a system dependant application. SaaS solutions take the care of maintaining the system out of your hand but they create other issues instead. Once you start using a SaaS solution for your business it’s difficult to change to something else without a lot of pain. There’s also pain in maintaining your own system but I really like the concept of your data being in your own hands. Most ticketing systems are pricey since you have to pay per user. By doing this you increased your overhead and overhead gets passed on to clients which we won’t do unless absolutely necessary. Our ticketing system choice was a modest investment. We implemented it so now our clients can easily initiate an issue, upload images if needed, and it solved the problem. Our system is also compliant with privacy laws. If someone wants all their data deleted it can be done simply and then it’s gone forever. 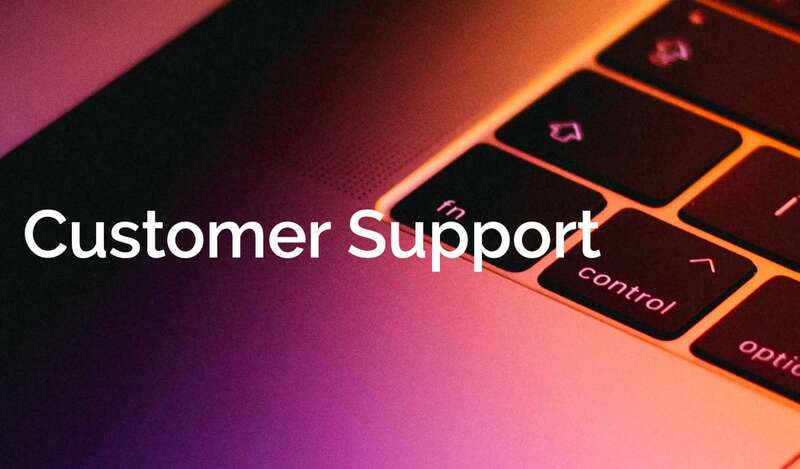 If you want to know more about our quest for a customer support ticketing system get in touch with me and I'd be happy to talk to you on this topic. You can also make a comment below and let us know your thoughts and experiences with customer support ticketing systems too.